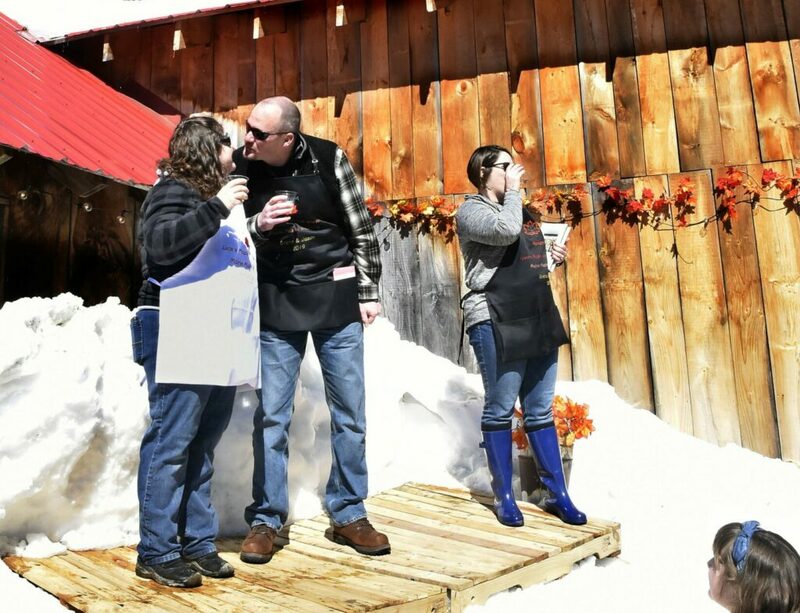 Greta Tillson and Jason Goding prepare to kiss after Meredith Nunn proposes a toast during the couple's wedding on Maine Maple Sunday at the Luce family saphouse in Anson. 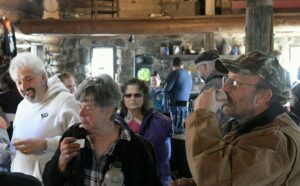 A crowd of family, friends and maple syrup customers stand in the mud to watch as Greta Tillson and Jason Goding are married at the Luce family maple products business in Anson on Maine Maple Sunday. 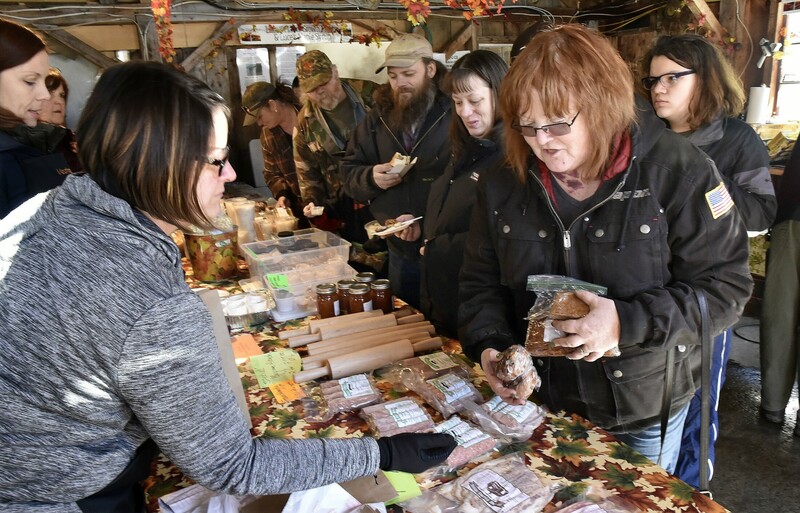 Customers purchase maple products during Maine Maple Sunday at the Luce family maple products business in Anson. 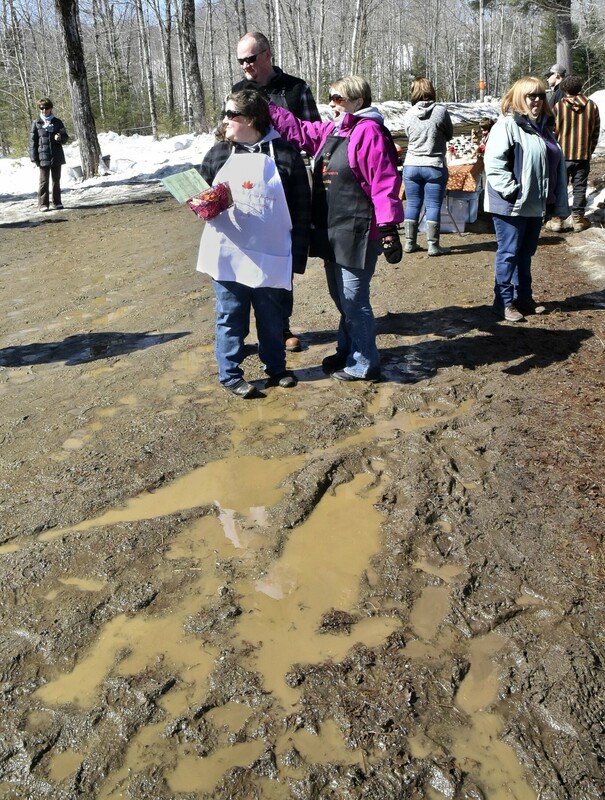 Greta Tillson, left, fiance Jason Goding and Tillson's mother Jan stand in mud as they greet friends arriving at the Luce family maple saphouse in Anson shortly before the couple was married on Maine Maple Sunday. 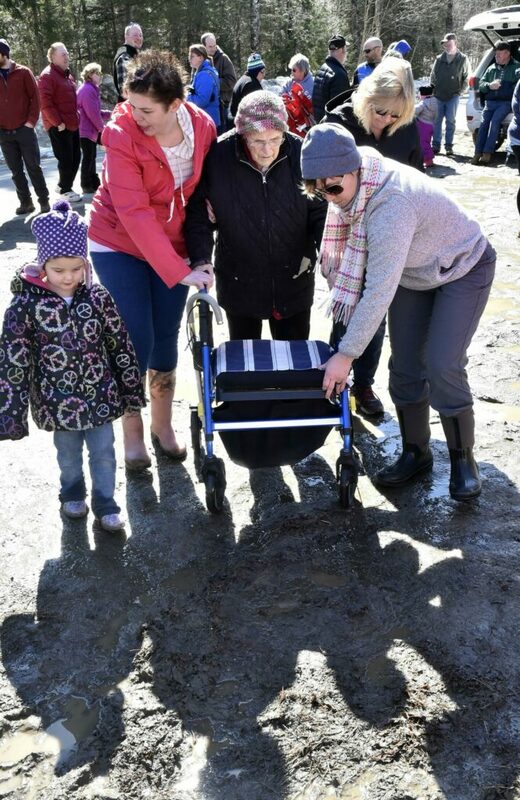 Norma Luce, center, grandmother to Greta Tillson, is assisted through the mud to attend her granddaughter's wedding to Jason Goding outside the saphouse at the Luce family maple products business in Anson on Maine Maple Sunday. 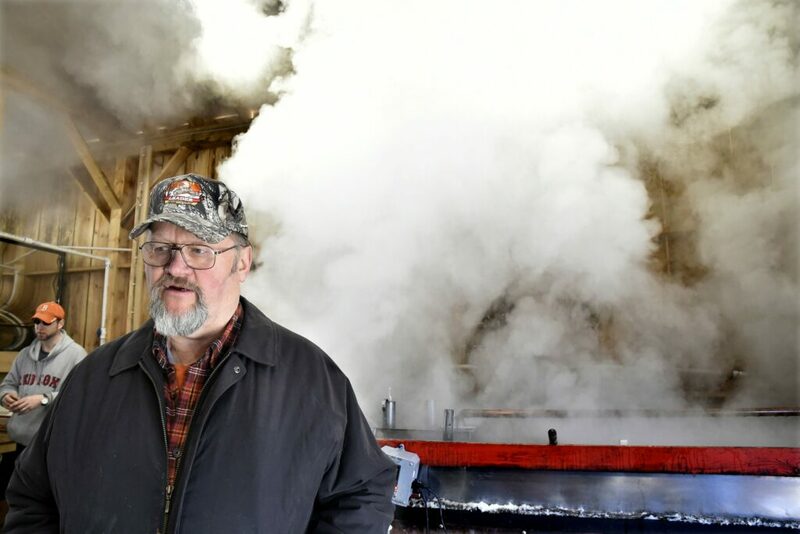 As steam rises from a maple syrup evaporator, Arnold Luce talks about the maple syrup season shortly before his niece Greta Tillson married Jason Goding on Maine Maple Sunday in Anson.